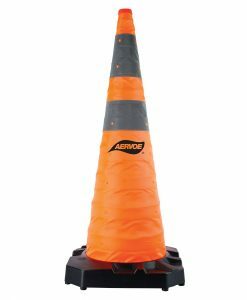 Solar Strobe/Signal Light Red – Aervoe Industries, Inc. 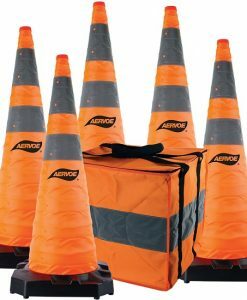 Solar Safety Cone LED Strobe/Signal Light. 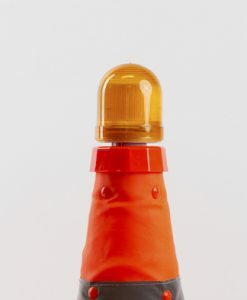 Solar powered flare sits on top of a rubber traffic safety cone. Charge it all day in the sunlight and in low light it will automatically start to strobe and warn of potential danger. 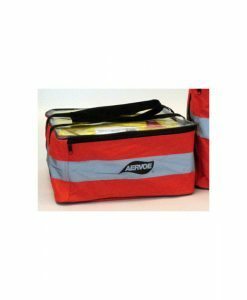 May also be mounted to any vertical or horizontal structure using the included mounting bracket. 4 Red LED flashing lights are visible up to 1640 ft. 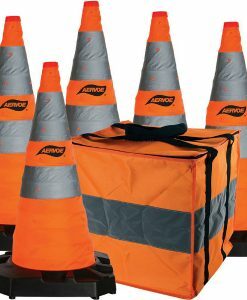 Applications: mount to walls, barricades, rubber traffic cones, signs and poles. 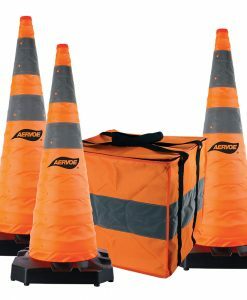 Use during road construction and signal safety hazards on build sites, in warehouses, airports, etc.